Effective Social Media Marketing Campaigns play an important role in promoting a brand in a direct and positive way among the customers who are active in social media. We have developed an advanced social media marketing software to manage the social activity for brands. 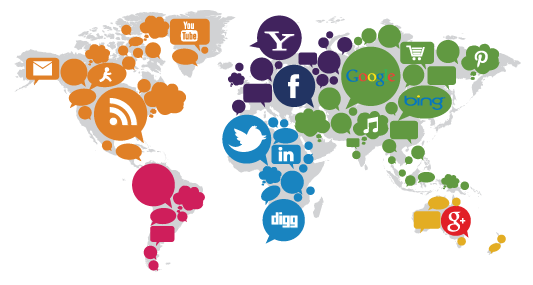 Our social media marketing services have made our clients reach their potential customers through multiple social media channels and continuously monitor their brand's social presence. We design innovative social campaigns and aim to create an engaged loyal customer base. We create compelling social media posts and schedule them across multiple social media networks in advance. We monitor the performance of campaigns and analyze user sentiments for the brand. 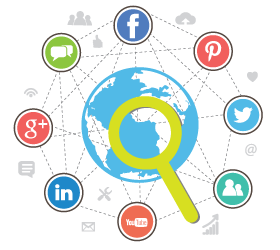 We employ advanced SMM tools to measure campaign results and optimize them based on analysis. Our specialized social media marketing software monitors any company's brand reputation around the clock. We continuously noise before and after launching your marketing campaigns. Our software makes it easy to keep an eye on social mentions and track the latest trends by effective social media listening during the time a campaign runs. Whether the purpose of monitoring is to observe quietly, learn about the current and potential customers and what they're looking for, or respond to critics or simply engage in conversation, we provide all the relevant information about what people are saying about a brand. Influencers are the major referral sources, popular bloggers, editors of newsletters relevant to your industry, and your loyal customers. Influencers create an impact on your industry through their network of connections. Making use of your influencers' social prowess by urging them to share your content with their network is called influencer marketing. One of the best software to amplify the reach of content on social media is Myrosys. Identify relevant industry influencers and leverage their social network to increase the reach of your content. Connect with the influencers and share your social content with them for amplification. Enhance the reach of your social content using an effective influencer marketing strategy. Build long term relationship with the influencer by engaging and sharing their content on social media. 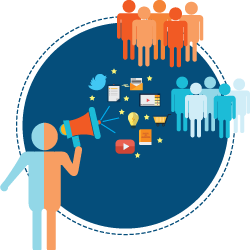 Campaigns amplification is the process of promotion of messages through employees, customers, industry partners, fans and influencers. Each individual's sharing of the message extends the reach of the message through the personal network of the sharer. Depending on the amplifier or influencer who has shared message, their reach could be a game-changer for the exposure of content. 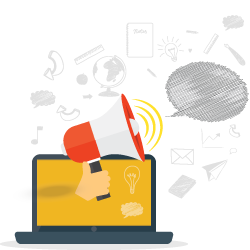 Campaigns amplification also increases social signals and improves search engine optimization and of course, overall brand awareness. One of the best software for campaign amplification is Myrosys. We ensure that our innovative campaigns garner greater audience, have increased Facebook likes, more Twitter followers, and thereby effective social media marketing campaigns. We deploy innovative social media marketing techniques to promote content through the right audience, at the right time, and in the manner in which the audience would be most receptive to it.